Sometimes, for me at least, clouds alone are enough for an image. In those situations, I'm usually looking for something dramatic or unique (and sunrises or sunsets most frequently qualify as such). While I wouldn't go as far to say that these clouds are dramatic, they are definitely unique. 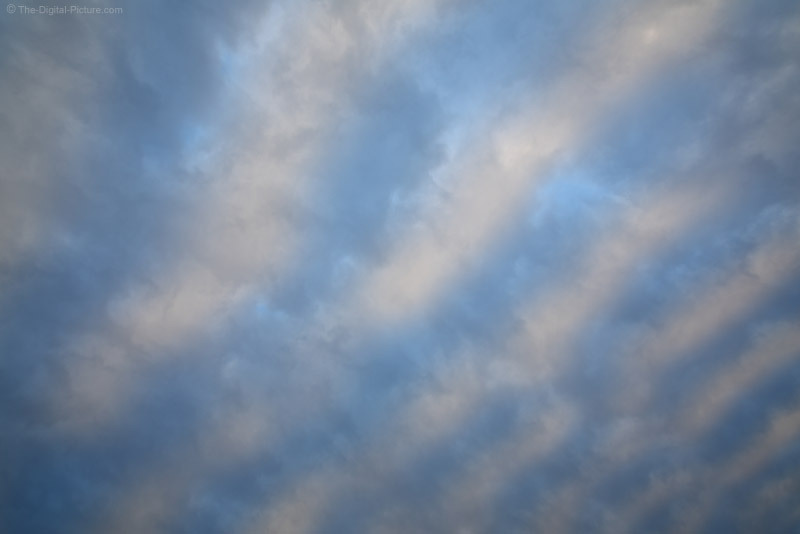 The lines of clouds were so broad that they completely filled a 15mm full frame format DSLR angle of view. While I captured many images of these clouds, I settled on this one to share. What I like is the larger clouds diminishing to smaller ones (due to perspective) as they angle through the frame into the distance. With unique clouds in the frame, it is unlikely for an image to be repeatable.